Home Sports Derrick Coleman Son, Family, Biography, Net Worth, Is He Deaf? 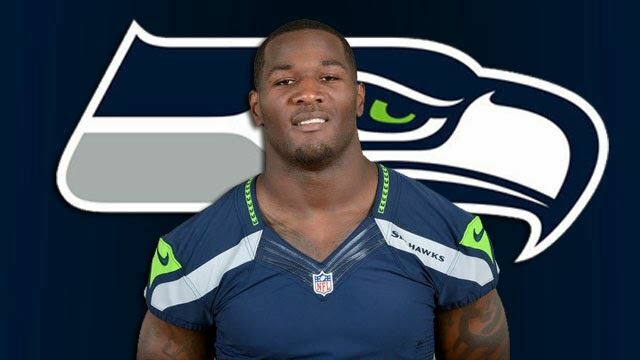 Derrick Coleman’s success story as the third deaf person to ever play in the National Football League (NFL) has proven that limitations are certainly a thing of the mind. He joined the league as an undrafted free agent after signing his first professional deal with Minnesota Vikings. 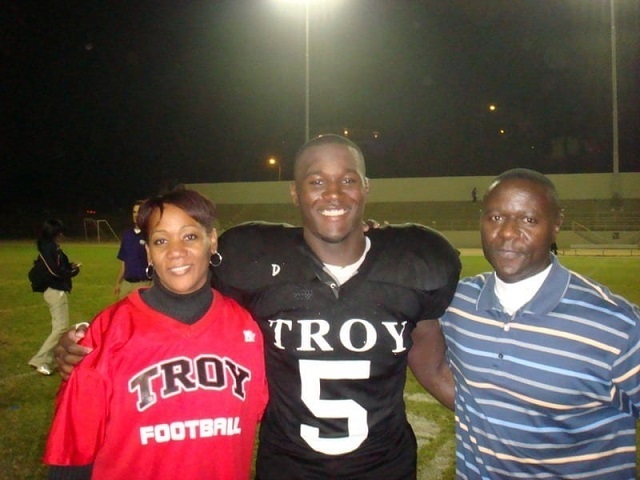 Since then, he has played for a few other teams including the Seattle Seahawks, Atlanta Falcons, and Arizona Cardinals. Nevertheless, his records are not one of the most impressive counts when compared to a few other successful athletes but his ability to conquer his deformity has pushed him to fame. Often times, a lot of his fans and sports analysts have concluded that despite his success, his deformity still contributes to his slacks in the game. There is more to this amazing baller than the slacks many see. In the article below, you would not only learn about him but also about his rise to stardom. Surprisingly, Derrick Coleman was born perfectly healthy on October 18, 1990, in West Los Angeles California, United States of America. But at age three, he was diagnosed with a hearing deformity which was truly disheartening for his parents, Derrick Coleman Snr. and May Evans. They decided to raise him as any normal child and not let the ill news determine his future. They stood by him all through his early years and ensured he had the best things of life. David’s interest in football started as a 7th grader and it was at that time he voiced out his interest in the game to his parents. Like every protective mother, May wasn’t comfortable with his choice of hobby and tried talking him out of it but being as determined as he was, Derrick decided that it was either football or nothing else. Upon his persistence, his parents decided to see his doctor who gave his approval, this was after David had mastered the use of the hearing aid he acquired while in elementary school. With a deficiency like his, being bullied became a normal thing for him, he was often times talked to rudely and was referred to as a snobbish little lad, only a few understood his predicament. He had to always watch his back and be extra careful not to cross lines or be in anyone’s path. Summoning up the courage to do what he loved irrespective of the bullying that might come with it, he joined the school’s football team. With the team, he put in his very best and as a senior, he was named the Most valuable player of the team and first team all-league. He was also named in the second place for the nation’s fullback by ESPN. Soon, high school days became history and he enrolled at the University of California, Los Angeles with hopes of bagging a degree in political science. It was quite difficult adapting to the roughness in the game during his days at UCLA. Often times, he had an issue controlling his hearing aid appliance on the field; because of this, he later acquired a headgear. He performed in his best capacity with the school team and also bagged a few awards including holding the Outstanding Special Teams Player award for three consecutive times; an award given to him by the school team. Despite his records as a student-athlete, Derrick Coleman didn’t qualify for the National Football League draft with his mates, but this did not deter him one bit as he further decided to pursue his career as an undrafted free agent. He started first with the Minnesota Vikings, who he played with briefly before he was waived in that same year. It looked like the skies were all cloudy for the footballer until Seattle Seahawks team gave him hopes as they signed him later that same year. With the team, he recorded his first touchdown in a game against the New Orleans Saints. The full-back later moved on to play with the Atlanta Falcons, showed his athletic prowess with the team and is currently with the Arizona Cardinals. Having played briefly for a few football teams, Derrick’s salary has varied over the years. With the Arizona Cardinals, he comes in at the 38th place in the team’s active roster having attained a cap hit of $630,000 as of 2018. He is currently estimated to be worth $3 million. Information regarding Derrick Coleman’s son is not anywhere on records and this mostly liely because he has no son. Often times, Derrick is mistaken for his namesake Derrick Coleman who was also one of the most successful NBA stars in his heydey. To the best of our knowledge, Derrick Coleman (the American Football Champ) has never been married and as such, he has no son anywhere. He is currently assumed single after he had a rough ride in his relationship with the sports reporter, Suzi Mellano. Howbeit, we would be sure to keep you in the know as soon as we lay holds on any details concerning his personal life. Yes, the NFL player is deaf but he is amongst the few who did not let the disability hold them back from working hard at making their dreams a reality despite so many setbacks. Records have it that Derrick is the third deaf football player in the history of NFL after the likes of Bonnie Sloan and Kenny Walker.